Product prices and availability are accurate as of 2019-04-22 16:33:20 EDT and are subject to change. Any price and availability information displayed on http://www.amazon.com/ at the time of purchase will apply to the purchase of this product. Description: This is a chinese spinach that is used widely in chinese and asian dishes. Can be grown as a micro green for salads or the seeds ground into a nutritious flour. 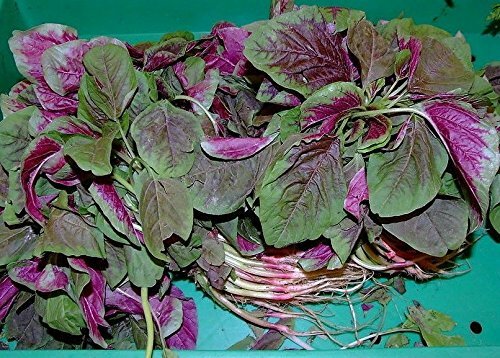 Has glossy red leaf, deep red stem, imparts a royal appeal to salads. How to Grow? Edible Amaranth grows extremely well in warm climates. It is fast growing vegetable and can be harvested 30 days after sowing. You can also rake multiple harvests by the cut-and-grow-again method. Sow seeds in well drained soil best (April - May) about 4 inches apart. Seeds are very small and will germinate best at temperature above 65 F under dark conditions. Thin plants during the growth if necessary and thinning's can be eaten. Fertilizers can be used but not really needed. Nutrition. 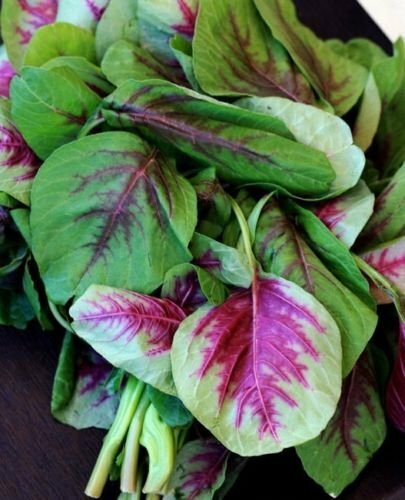 The leaves are very nutritious, rich in protein, iron and vitamins and have an excellent and distinct flavor amaranth also it has two times more calcium than milk. 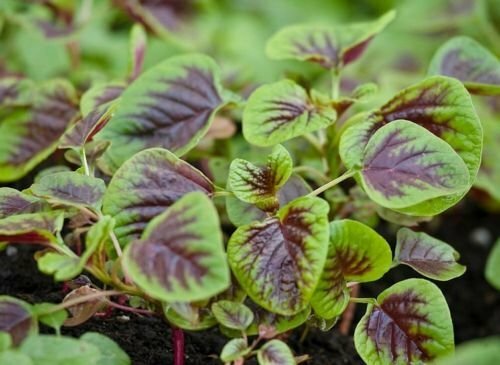 Cooked amaranth has a total digestibility of about 90%.